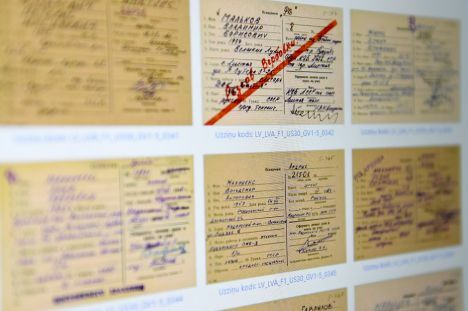 The published KGB files mention Latvian politicians whose names had not been associated with this secret service in the past, even though the law requires publication of such information. Some of those politicians explain their cooperation with KGB was not voluntary, and that they have proven as much in court, which is the only institution with the authority to prove residents’ association with KGB. Appearance of other politicians among the contacts detailed in the files, however, came as a surprise. Saeima Election Law states candidates have to submit information regarding their possible cooperation with USSR, Latvian SSR or foreign state security institutions, intelligence or counter-intelligence services as freelance agents, registered agents, residents or owners of apartments used for meetings of said agents. Those candidates are not prohibited from taking part in elections. However, information regarding their possible cooperation has to be reported to authorities. For example, in August, prior to 13th Saeima elections, information was published that four candidates – Romualds Maculevičs (NSL), Artūrs Malta (Alternative party), Juris Strušels (LSDSP/KDS/GKL) and Arvīds Ulme – may have been KGB agents in Latvian SSR. This information was reported to the Central Election Commission by the Centre of the Documentation of the Consequences of Totalitarianism. Public documents also mention Saeima deputy Igors Pimenovs from Harmony. However, his possible cooperation with KGB was never publicly reported. Pimenovs was recruited in 1978 and was given alias ‘Krivitchev’. Pimenovs stressed that the court proved he was not aware of working with KGB and was not their informer. KGB bags also mention the name of Saeima deputy Romualds Ražuks. He is mentioned as ‘recruitment candidate’. No date for his recruitment is mentioned. The former politician said he never cooperated with KGB. With that, the appearance of his name in KGB bags was a big surprise. Ražuks claimed having no contacts with KGB. The published KGB records also mention in the ‘agent’ category ex-Saeima deputy Arvīds Platpers. According to information from files, Platpers was recruited in 1981. His alias was ‘Verdi’. When asked why his name is among KGB agents, Platpers told LETA that Riga District Court concluded when viewing his possible association with KGB in 2005 that he did not cooperate with this service. «I’ve had several trips abroad since 1981. Someone was very interested about the going on abroad. I’ve been to USA and Japan. This [the record with Platpers’ name] was likely associated with this,» said the conductor. Platpers refused to comment on this matter further, adding that discussions regarding his possible cooperation with KGB were emotionally unpleasant thirteen years ago. He also added that the court ruling is in the court archives. KGB cards also mention the name of 10th, 11th and 12th Saeima deputy and former Mayor of Daugavpils Rihards Eigims with a alias ‘Edgars’. He was allegedly recruited in 1985. He has yet to comment on this. KGB files also mention Ivars Godmanis, who had the alias ‘Pugulis’. Godmanis was tried and it was proven in court that he did not cooperate with KGB. However, there was a scandal not long ago regarding the sudden disappearance of materials of this case from Jurmala court archives. The database also mentions 9th Saeima deputy of the National Alliance political party and Kubuli County chairman Juris Boldāns’ record. It mentions that he was recruited in 1985, when he was a car inspector for Latvian SSR police. LETA turned to Constitution Protection Bureau, which is the institution previously responsible for storing KGB documents, for explanations as to why the names of those politicians were published before elections and names of others were not. No explanation was provided. Corrupt politicians,.in a country where you want to earn more money you must speak Russian!